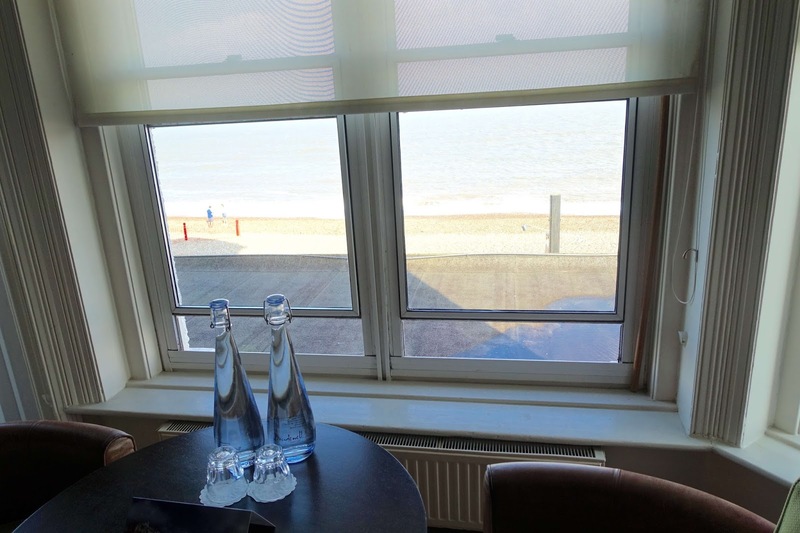 Looking to enjoy four-star luxury on the seafront in Suffolk? 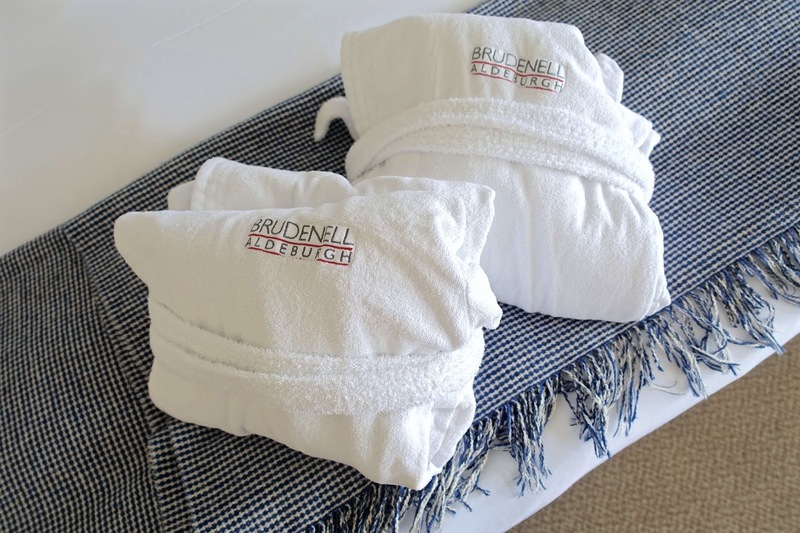 The Brudenell hotel treats you to just that! Me and Alex have been fortunate enough to visit Suffolk a couple of times in the past few years, luckily we have friends living in the beautiful Woodbridge and have also visited the famous medieval town of Lavenham before. 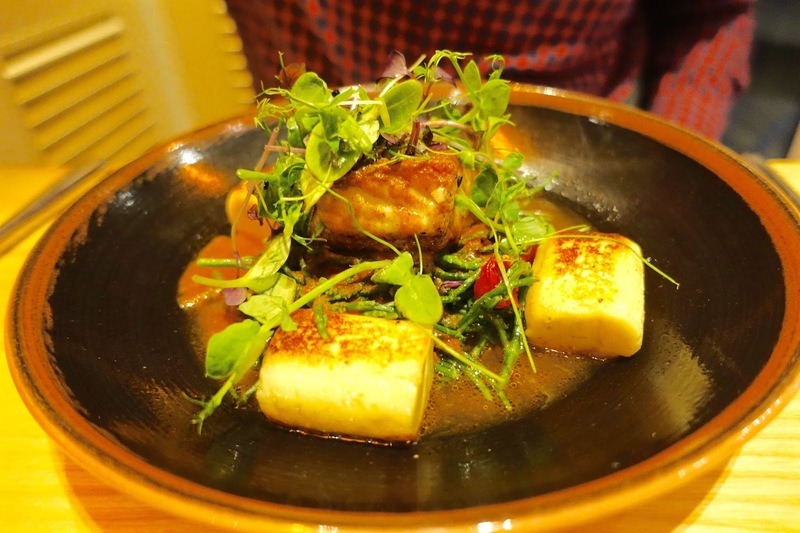 However, visiting the Suffolk coast-line was still on our list of places to tick off the travel bucket list, so when we were invited to experience a well-known Suffolk seaside town, we welcomed the opportunity with open arms! 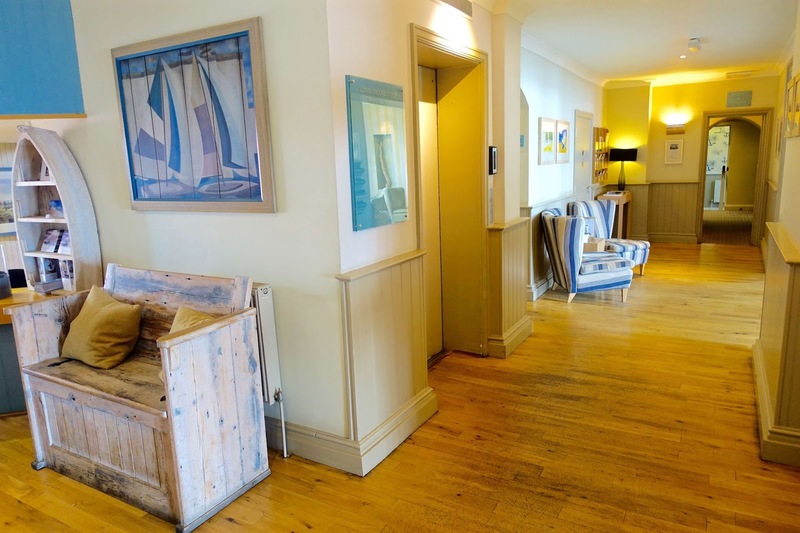 The Brudnell Hotel is located in the quaint and charming coastal town of Aldeburgh. 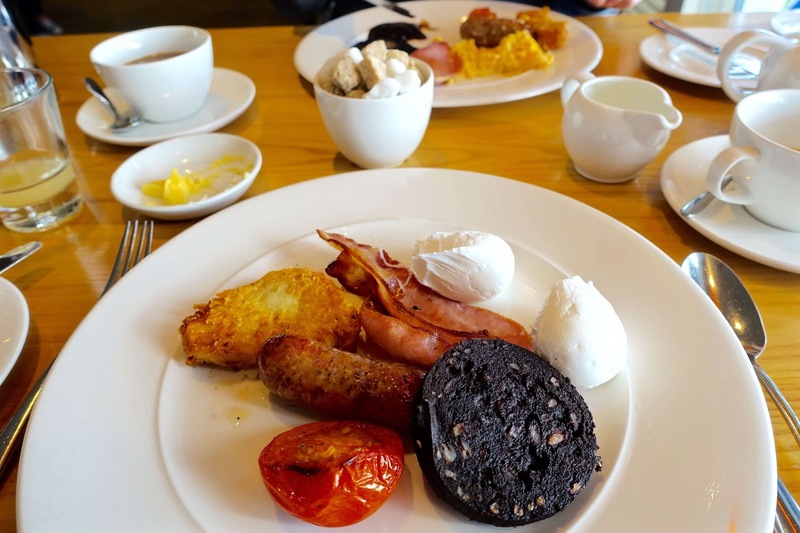 The hotel is managed by the TA Group, a group of award-winning, luxury hotels located across the beautiful country of Suffolk, who I have been fortunate enough to stay with before, on my trip to luxurious Swan Hotel and Spa in Lavenham, don't miss my review here. 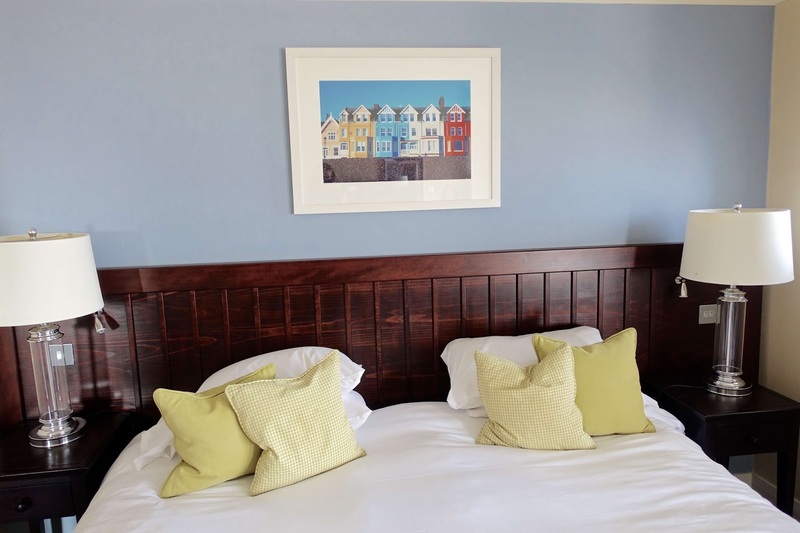 We were excited to be visiting the Suffolk coast and to be staying in a four-star hotel that was just a stones throw away from Aldeburgh's pebbled beach front. Although parking spaces are limited at the hotel, we managed to secure one of the undercover parking bays opposite the back entrance of the hotel. Otherwise, on the seafront side of the building there are many more spaces, all free of charge with no time-limits - sure makes a change from the city! 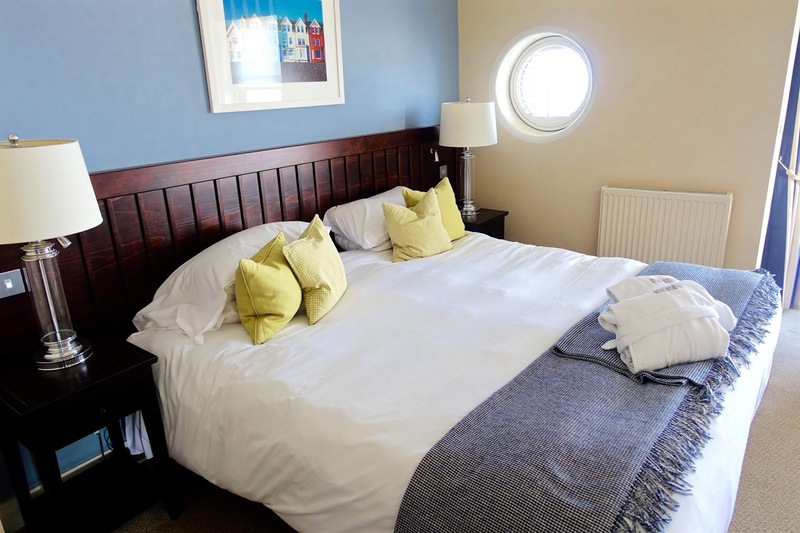 We were placed within one of the deluxe sea-view bedrooms which featured all things nautical, a beautiful large bay window overlooking the Aldeburgh pebbled beach front, a captains look-out window to the right side of the bed and a personal sitting area to indulge into the views as long as we liked. Hidden behind the lavish floor-to-ceiling curtains was a side door leading us out onto our very own balcony, although very cosy in size, I can see how this would prove the ideal seating spot on a warm summer's day or evening, essentially, all you would need is a glass of wine in hand and then you could sit back and listen to the waves lap and the seagulls chirp merrily! 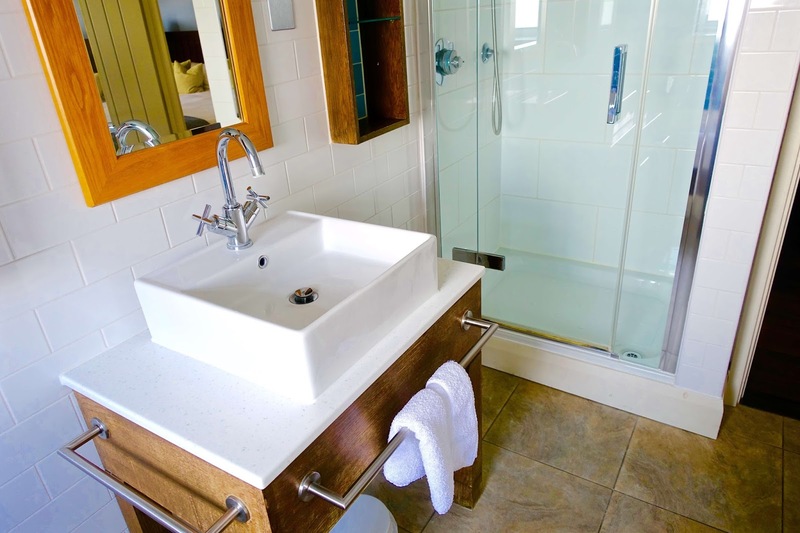 The en-suite was ideal as it provided both a walk-in shower as well as a separate bath so there were no issues with the morning (or evening) bathroom slots. The hotel kindly accommodated us with this room due to my request of a 6 foot king-size bed. Alex is very tall and can usually end up more out of the bed than he is in, so when going away it's always essential for us (when room facilities permit!) to have a bed which is big enough and spacious enough for the two of us to fit, and most importantly stretch out and get a good nights sleep! The luxurious bed, more than big enough for two, was finely furnished with duck feather pillows and extra thick mattress toppers for refined luxury. For dinner we dined in the hotel's Seafood & Grill Restaurant, which has panoramic sea views across Adelburgh's calm beachfront. 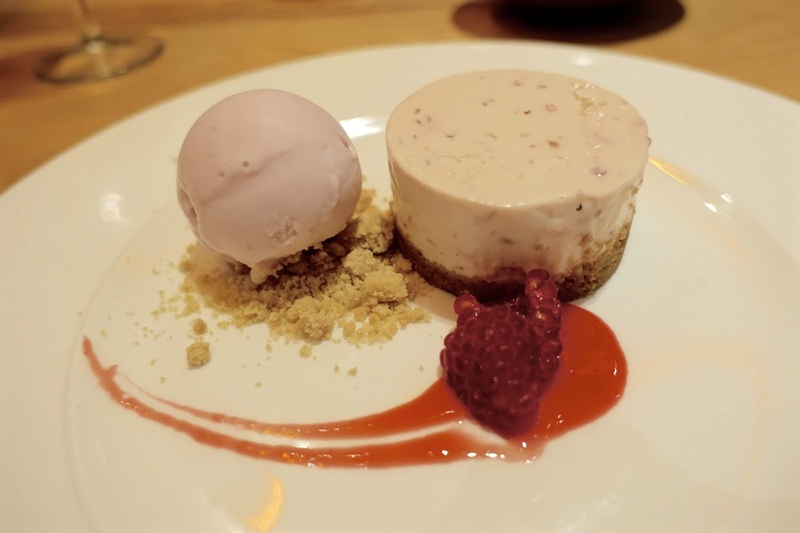 The dinner menu, perfect for any seafood lover, features Suffolk oysters, south coast scallops and Norfolk crab. 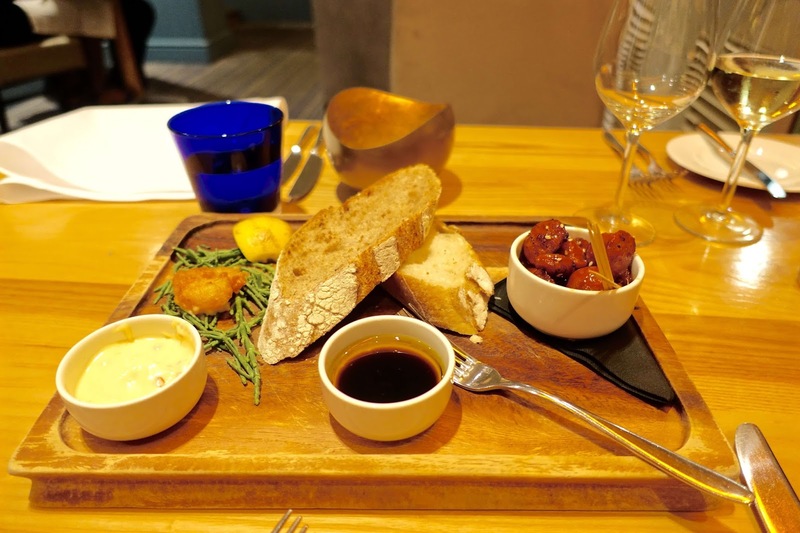 With a bottle of white wine served, we started with a few appetisers to share; Penny Bun Bakehouse bread basket, olive oil, balsamic vinegar (£2.50), Chorizo, honey & sesame (£3) and Tempura prawn, lime & chilli mayonnaise (£1.75) - an ideal variety of nibbles, all reasonably priced to help get our taste-buds tingling for the main course. 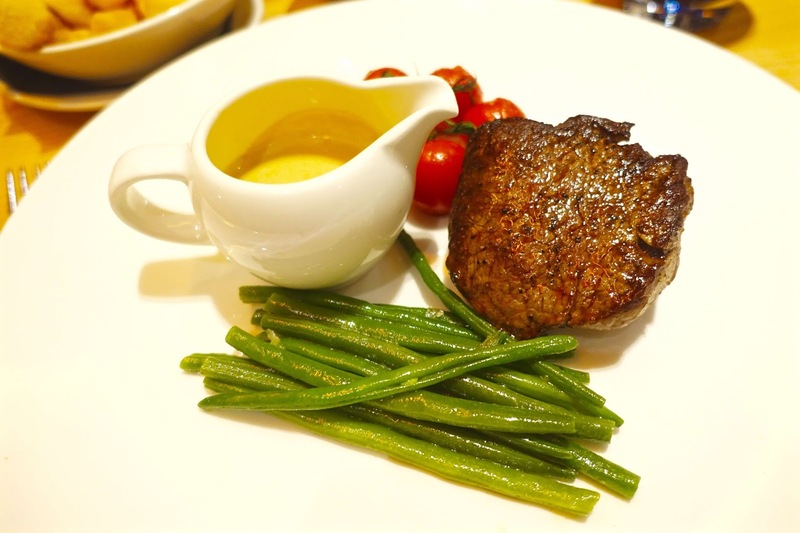 After debating the menu choices I decided upon the salter and king beef 180g fillet (£35) served with fluffy hand cut chips, sun-ripened tomatoes, fine beans and cafe de paris butter, not to forget minus the mushrooms! I choose a peppercorn sauce to compliment. 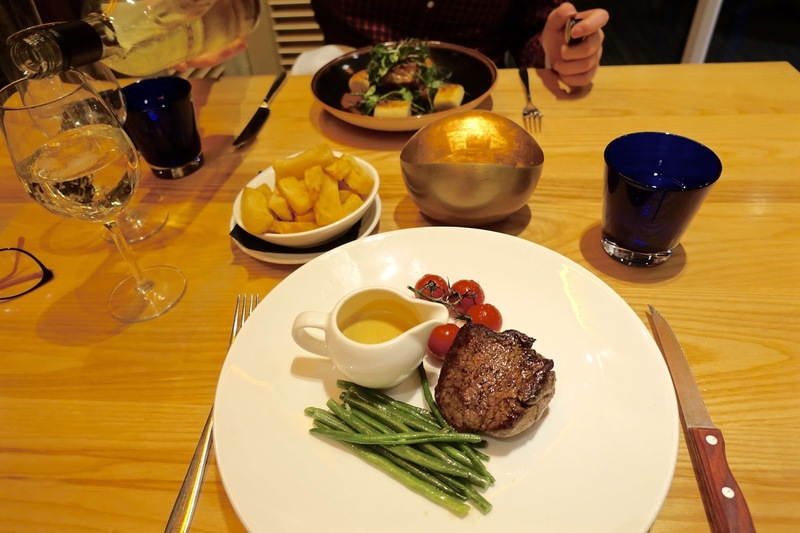 The fillet steak was perfectly cooked to my liking, medium rare, pink and tender and the fluffy hand cut chips were oh so soft and a melt-in-the-mouth experience. 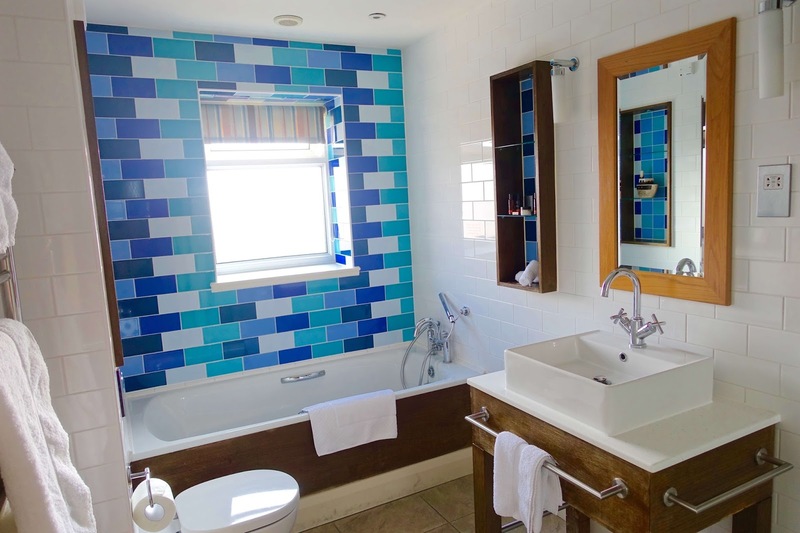 Don't be fooled by Aldeburgh's quiet beachfront exterior. 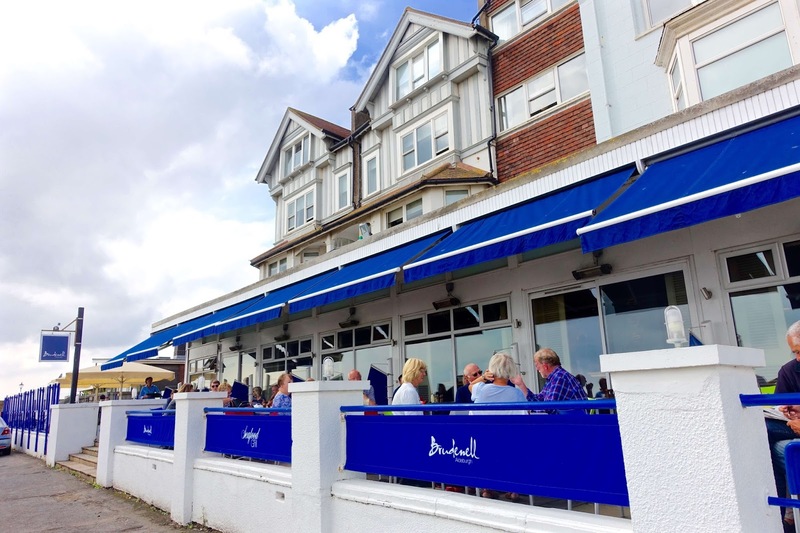 There is always plenty happening on the road that runs parallel to the seafront, with an arty high-street full of antique shops, Suffolk brewery outlets, fashion boutiques and not to forget the local fish and chip shop which is always brimming with satisfied customers. With the Aldeburgh Fish and Chip Shop (aldeburghfishandchips.co.uk) do expect to queue as its clear that they like their fish and chips around here! We stumbled upon just at the right time, our bellies rumbling for a quick satisfying snack, as dinner was still a few hours away. After all, its tradition to grab fish and chips wrapped in greasy paper bag when visiting the seaside! The pub next door, Ye Old Cross Keys allowed you to take your chips and grab a perch in the outdoor seating area, not forgetting to grab a cider too! If you enjoy walks and exploring the local area then its definitely worth taking the beach walk to Thorpeness. This will stroll you past Maggi Hambling's famous stainless-steel Scallop, a memorial to Benjamin Britten, who founded the Aldeburgh Festival. The quaint little coastal village of Thorpeness is worth a visit itself too, whimsical by nature - there is even a boating lake complete with islands inspired by Peter Pan! We had a thoroughly enjoyable stay, made all the more comfortable by such welcoming staff, a beautiful location, plus it was even better that we had the warm weather on our side! 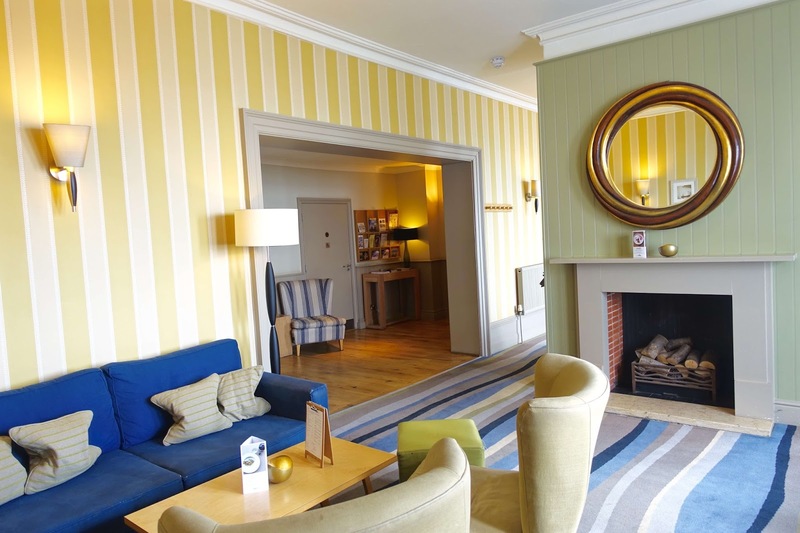 To make a reservation call The Brudenell on 01728 452071; details can also be found on www.brudenellhotel.co.uk; B&B from around £165 per room per night for two sharing, dogs welcome.